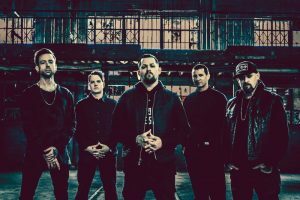 Los Angeles, CA – September 14, 2018 – Good Charlotte released their highly-anticipated seventh studio album Generation Rx via MDDN/ BMG. The album is available digitally and physically now HERE. Limited edition merch bundles are available exclusively through the band’s online store HERE. 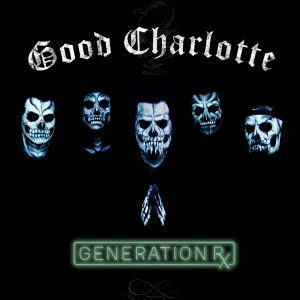 Good Charlotte announced Generation Rx in May and shared singles “Actual Pain“, “Shadowboxer“, and “Prayers” ahead of its release. The album represents both a new chapter and full circle moment for the group-brothers Joel [vocals] and Benji Madden [guitar, vocals], Billy Martin [guitar], Paul Thomas [bass], and Dean Butterworth [drums]. Powered by punk spirit, rock song craft, and cinematic ambition, they retain the signature vitality and vulnerability of their formative years, while delivering an urgent, unafraid, and undeniable message befitting of two decades in the game. Last October, Good Charlotte embarked on a massive North American Tour in support of Generation Rx that will kick off on October 12, 2018 in Mexico City, and wrap on November 24, 2018 in Las Vegas, NV. Sleeping with Sirens, Knuckle Puck, and The Dose will provide support on the tour. Tickets are available now HERE. Good Charlotte will return to the road in Europe and The UK for a tour kicking off February 1, 2019. A complete list of upcoming live dates and ticket information can be found HERE. First formed in 1996 by brothers Joel and Benji Madden, Maryland’s GOOD CHARLOTTE sound tracked the turn-of-the-century and empowered a generation with one cleverly catchy anthem after another. 2000’s landmark self-titled debut earned a gold plaque and quietly set the stage for worldwide superstardom. In 2002, they unleashed the now-classic The Young and the Hopeless, which eventually went RIAA triple-platinum and would be lauded in the Top 20 of Rolling Stone‘s “50 Greatest Pop-Punk Albums” and BuzzFeed‘s “36 Pop Punk Albums You Need to Hear Before You F–ing Die.“ 2004’s The Chronicles of Life and Death bowed at #3 on the Billboard Top 200 and reached platinum status as Good Morning Revival  and Cardiology  repeated that Top 10 success and brought the band around the world multiple times in front of countless screaming fans. Along the way, everyone from N.E.R.D. and Three 6 Mafia to Avenged Sevenfold and Tonight Alive jumped at the chance to collaborate. By 2018, cumulative sales exceeded 11 million worldwide, while accolades encompassed everything from KERRANG! Awards to an MTV VMA. Following a six-year hiatus, they made a much-lauded return with their first independent offering Youth Authority during 2016. However, their music and message prove as potent as ever on 2018’s Generation Rx-the first album to be released under their partnership with BMG. Generation Rx needed a voice, and there’s no one better to provide it than GOOD CHARLOTTE.